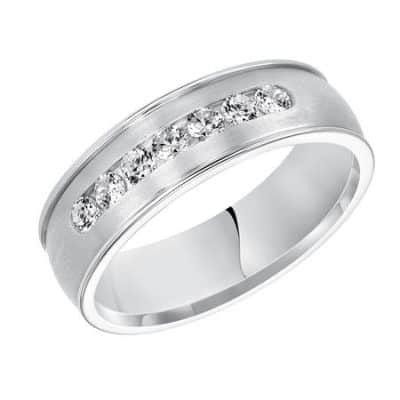 Crystaline finish wedding band with milgrain. 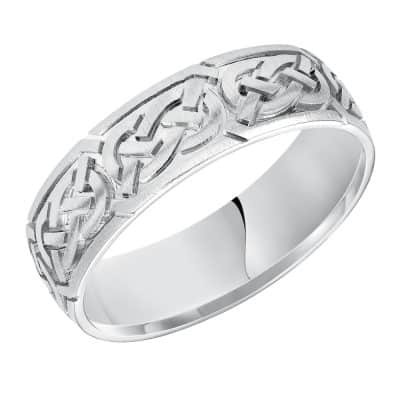 Celtic knot style wedding band. 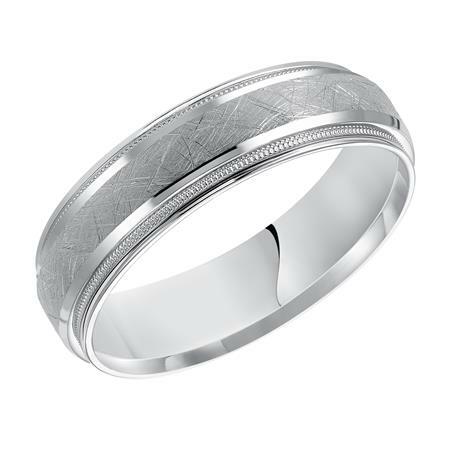 Wedding band with seven diamonds and satin finish. 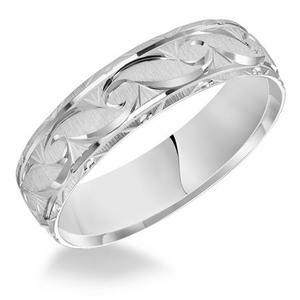 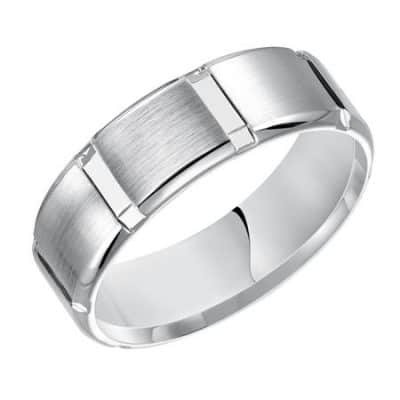 Wedding band with ornate design and satin finish.